Travis Scott long awaited new album “Birds in the Trap Sing McKnight” is finally here. Learn how you can stream the project below. The oft-delayed project has been in the works for several months now but the G.O.O.D. Music rapper confirmed on Twitter on Friday, September 2nd, that the 14-track album is currently available on Apple Music. The project saw guest appearances from The Weeknd, Kendrick Lamar, Quavo, Young Thug, 21 Savage, Andre 3000, Kid Cudi, Bryson Tiller, Cassie and more. 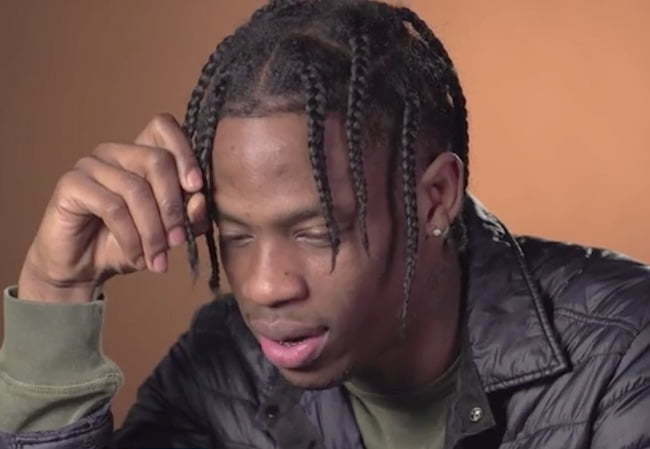 “Tomorrow on .Wav I interview Trav about the Birds process and we break down each song track x track. Listen live with us. F*** I’m excited,” Chase B wrote on Twitter. Apple Music also confirmed that the album is currently available for streaming exclusively on their platform and fans can also download the project on iTunes. Travis Scott also announced that he will be streaming the entire album during his .wav radio show on Beats 1 later today. Birds in the Trap Sing McKnight Tracklist. Stream Travis Scott album Birds in the Trap Sing McKnight on Apple Music below.